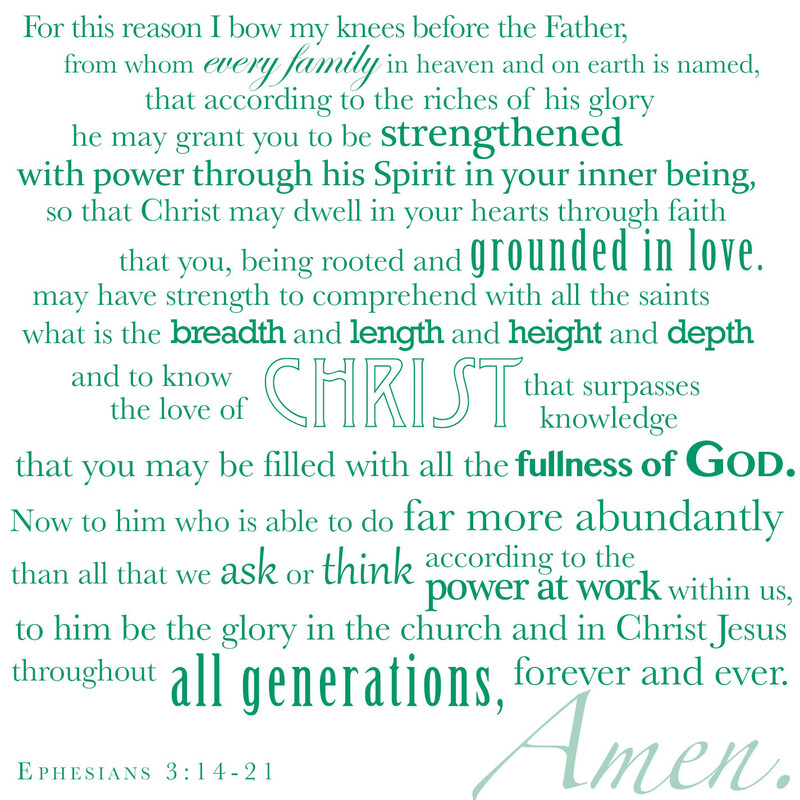 For the last several weeks, my pastor has been preaching out of Ephesians 3. 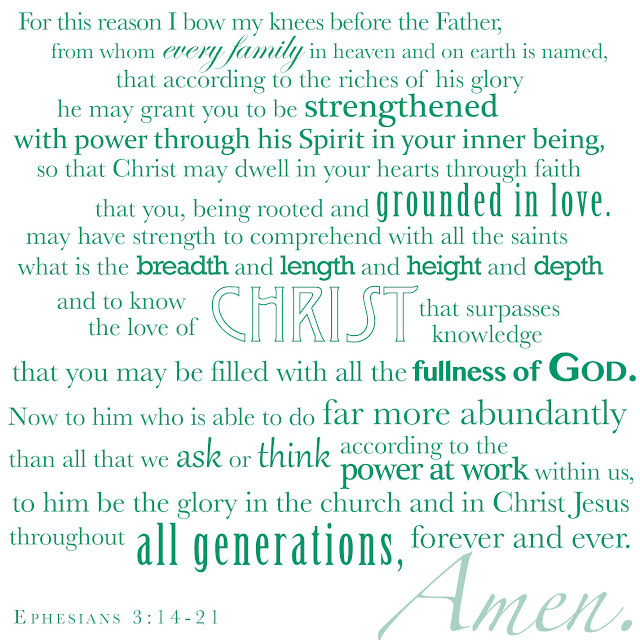 Ephesians 3:14-21 is a beautiful passage of exhortation and Paul's prayer for the church at Ephesus. This particular set of verses has been standing out to me the past couple weeks, and each time I've read it, I think about it being great to pray over my family. Though I don't have a family of my own just yet, I am beginning to pray through these verses over the family I do have, my future family, and even over the people in my life who I love like family. Every family has been named from the Father, including my future one. I pray that we will be strengthened by the power of the Spirit, that we will have Christ in our hearts through faith, that we will be grounded in love. I pray that we will know the greatness of Christ's love that is beyond our comprehension. I'm thankful that God has plans for my family beyond all I could ask or imagine. I pray that my family will glorify the Lord for generations, from now into eternity. Do you have a specific passage that is special for your family or for you? Do you have verses you pray for yourself or others?